Almost a year has now passed since participants of the Biz4all-2 social entrepreneurship school finished their training. 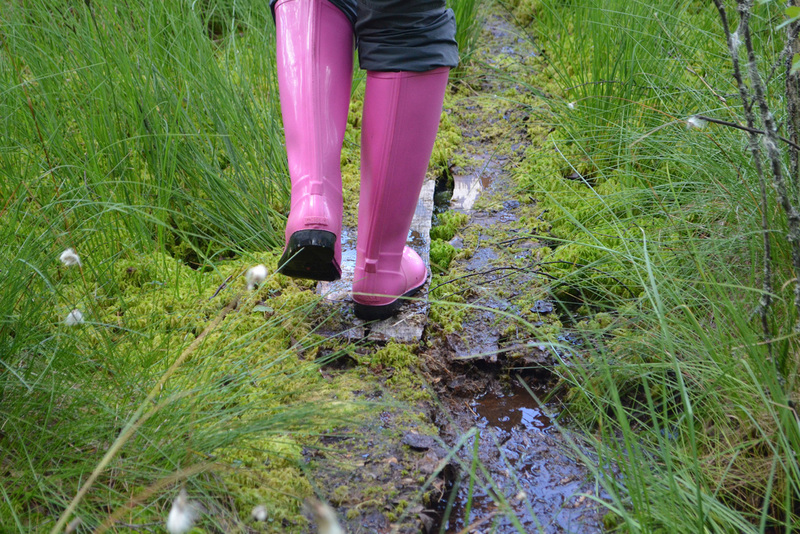 It is always a pleasure for us to watch the resulting projects grow, and today ODB Brussels has spoken to Karina Sitnik, director of “Walk to Folk”travel company, about their new Chernobyl route, team collaboration and sources of inspiration. 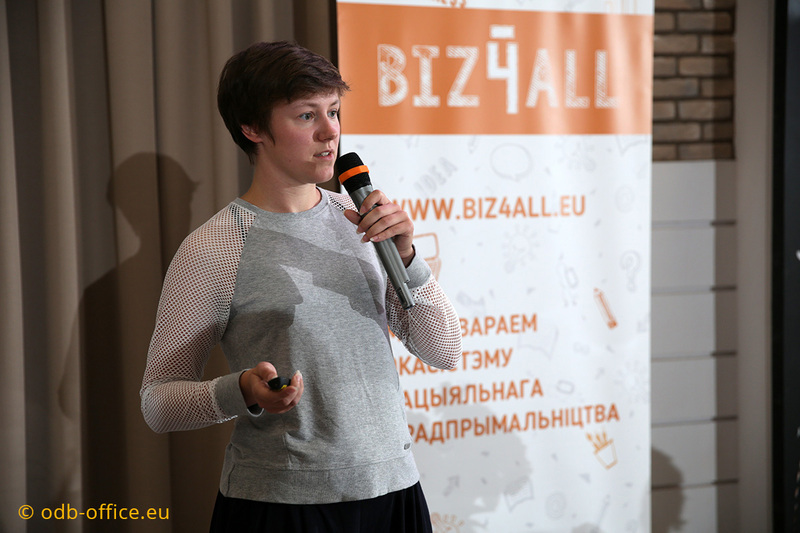 Biz4all "Social Entrepreneurship Incubator” programme is organized by ODB Brussels (Belgium) in partnership with TNU Network University (Netherlands) with financial support from the European Union. You can read more about the beginnings of “Walk to Folk”, the social enterprise from Minsk, on our website: “Walk to Folk”: Enjoying Belarusian Traditions. A year ago, Karina told us how she had worked in the travel industry for some time and then felt ready to set up her own business. Her original idea was to organize tours to Belarusian countryside and help both Belarusians and foreign guests learn about traditional national activities: baking bread, collecting and fermenting herbs, or bird watching. As a rule, “Walk to Folk” gives priority to establishing collaborations with locals. This helps to bridge the wage gap between people in urban and rural areas, as well as to motivate local guides to develop tourism in their own regions. The company’s social mission is to help preserve cultural heritage to make sure it carries on. At the moment, the enterprise is expanding to add new original touristic destinations. 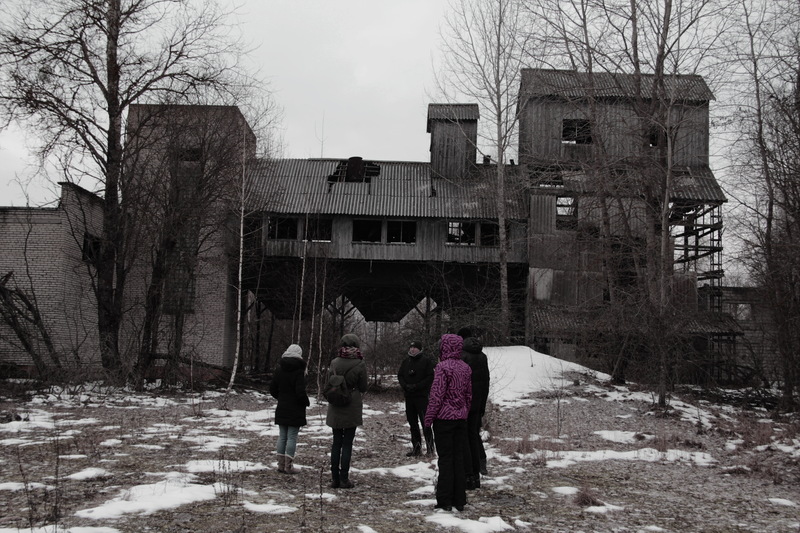 One of them is a one-day trip to the Belarusian Chernobyl Exclusion Zone called “History of Chernobyl". Can you see the Chernobyl reactor from a tower in Belarus? 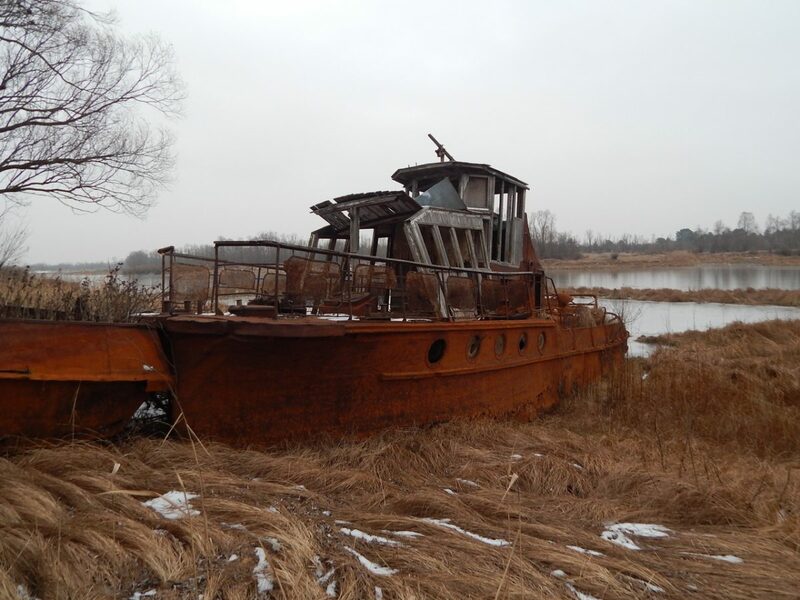 Karina speaks about the new route with great enthusiasm: “The main focus of the trip is the Belarusian Exclusion Zone, acquainting people with the Polesye State Radiation Ecological Reserve. Each group is given two guides: one guide picks up the group in Gomel and accompanies them to the zone, where they are joined by another one. It is worth noting that, since radiation fallout typically happens in patches, the route through the reserve takes minimal dose indicators into account. The dose of radiation a person can receive over the one-day tour is equal to that you get during one hour of flying by plane. 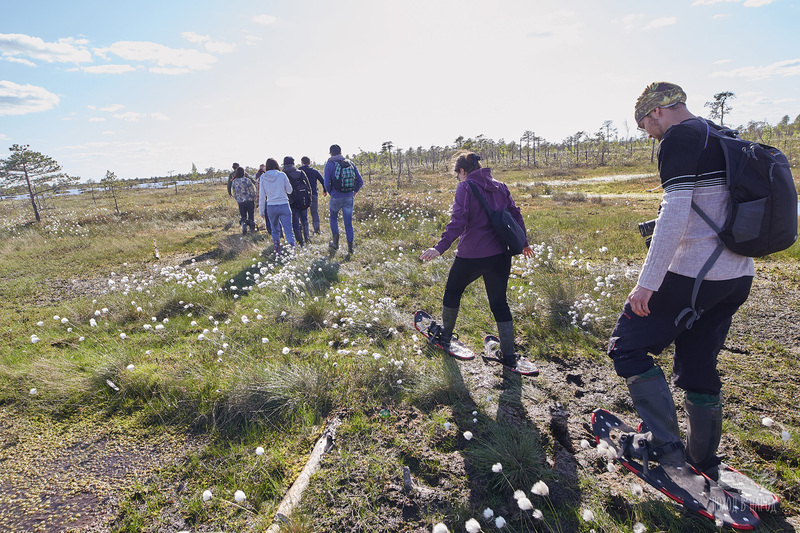 During the tour, the guides teach the participants to measure radiation levels in various parts of the exclusion zone, so everyone can see how unevenly radiation is spread over the relatively small territory”. “Coming there for a short period of time, it may be dangerous not because of radiation but because the area is totally abandoned. An unaccompanied tourist will not be allowed to come here. 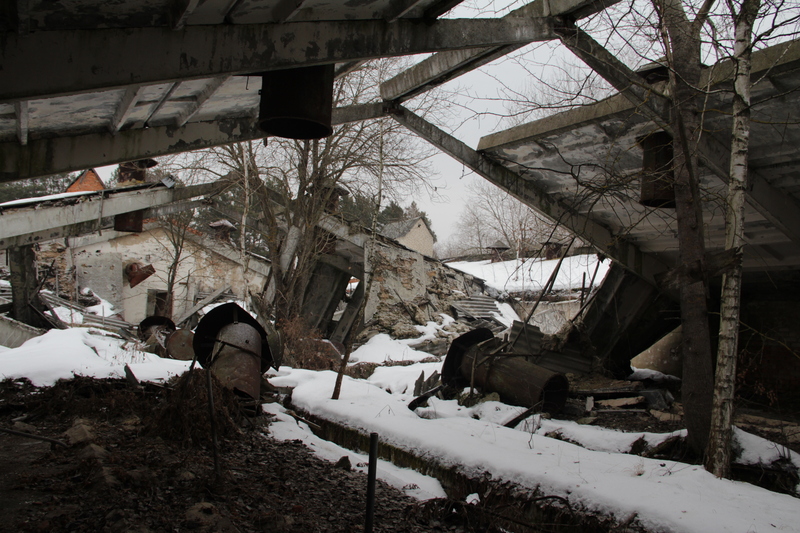 On our route we pass through a number of villages and abandoned cities, taking every possible threat into account. However, you cannot come here with children under 18 years old. There may be wild animals lurking in houses. Over the past 30 years, since humans left, the area has even been populated by the Przewalski’s horse, and the number of aurochs here is higher then almost anywhere else in Belarus”. You will also learn a lot of useful things about radiation and its impact on human health. For example, the World Health Organization has identified just one long-term effect of radiation on the human body: thyroid gland diseases. People who were children at the time of the accident now suffer from that disease, as excessive amounts of radioactive iodine entered their bodies in the wake of the accident. At the time, no one knew that you could curb the disease by administering a higher dose of potassium iodide, which blocks the absorption of radioactive iodine by the thyroid. Today this is common practice in residential areas that are located in close proximity to nuclear power plants, for example, in Belgium. 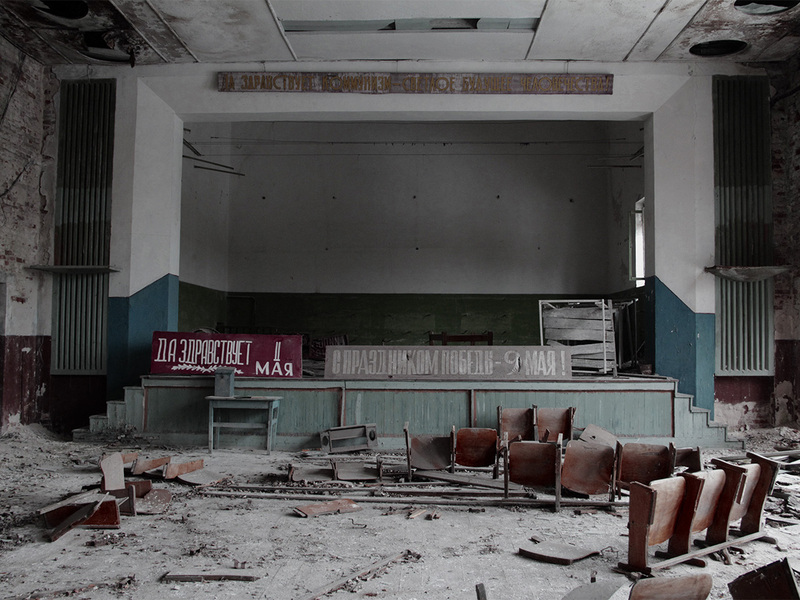 That is one of lessons learned from the Chernobyl accident. Karina sums it up: “There are parts of the exclusion zone where radiation level even today is ten times higher than the allowable rate, but we only go to areas where levels are no higher than two or three times that amount”. 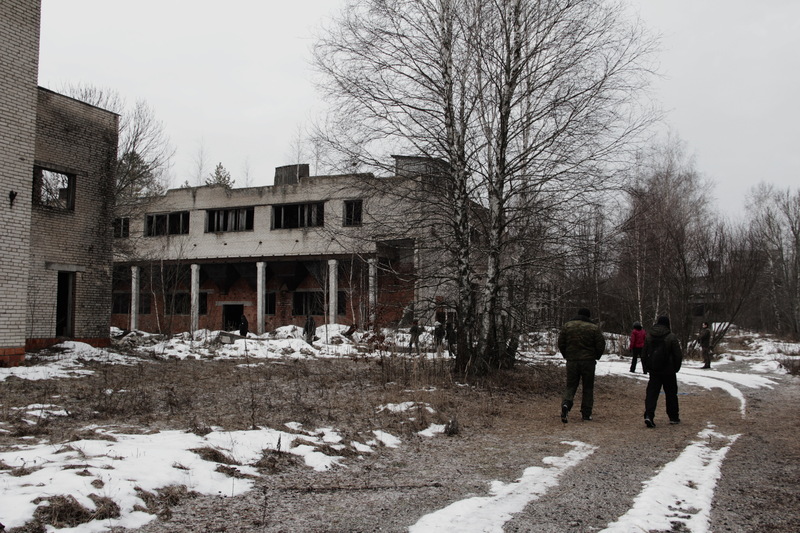 The next “History of Chernobyl” tour by “Walk to Folk” to the Chernobyl Exclusion Zone will take place right after the 33rd anniversary of the explosion at the Chernobyl nuclear power plant, and you can still sign up. According to Karina, when it is sunny and totally clear, you can see the plant and the reactor (which are located in the territory of Ukraine) from a tower in a village nearby. No group has been that lucky yet, but the next one might just be. Is that a business or a hobby if you enjoy what you do? According to Karina, possibly due to the fact that she still works alone, she has no desire to streamline her business and start bussing tourists in from Russia to the uncharted parts of Belarus. “I’m currently taking part in a programme where every participant has a female mentor from business. My mentor reprimands me all the time for not taking a business approach and having no exact calculations. I understand that her claims are valid, but I also like that even after a couple of successful years “Walk to Folk” is not just a money-making venture but a thing I really enjoy doing”. This year, for example, Karina brought together a large group of people who celebrated New Year’s by bird watching. “I noticed that Belarusian tourists love going to Europe for the New Year’s and Christmas, but no interesting alternatives were offered locally. That was how I got the idea to organize the now-popular tour “To the Birds” over Christmas. Surprisingly, we got our group of 15 people very quickly and then even had to turn away others”. Since the main goal of “Walk to Folk” is to showcase the flavour of the country to both Belarusians and foreigners, all the tours the company offers are field tours. It is particularly great that stable collaborations have formed over the year since graduation from Biz4all thanks to the social entrepreneurship training school. For example, Karina regularly takes groups to manufacture natural cosmetics and bake bread to “Dymki” estate near Lahoisk. The estate owners are Hanna and Andrei Verbitsky, who also took part in our school. “We have had a long, mutually beneficial cooperation with the guys. Just last month, we came to them again to make natural cosmetics, and we baked bread before that. Since all the tours I offer on the website can be ordered individually (starting from a certain number of participants), it’s great to have partners who can always provide support and meet you halfway to organize the next unforgettable and rewarding journey,” shares Karina. At the end of the interview we inquire what inspires the entrepreneur to pursue her social business in the field of travel. Karina says that it is about people — both those who welcome tourists and those who come for the tours. “The best motivation for me is to have an opportunity to show the great estates, people and activities we have in our country. I want everyone to learn and share in the love for Belarus every estate owner I cooperate with has. On the other side, I love seeing the enthusiasm in the eyes of tourists after a day or a weekend with us. This is really inspirational, and it makes me want to think of new tours and destination spots, and develop”. The goal for this tourist season is not only to increase the number of tours, but to also penetrate the foreign markets. 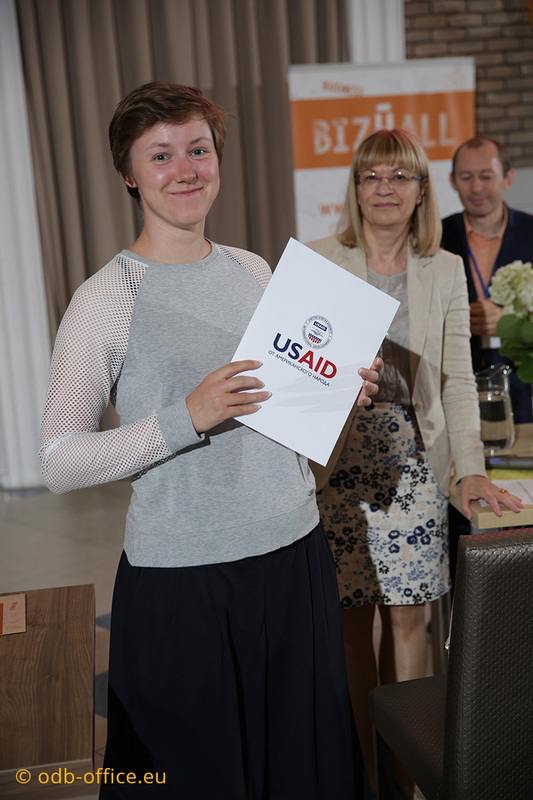 Karina told us in confidence that she had been selected as a participant of the accelerator programme by our partners Social Innovation Berlin (SOIN). Now her goal is to find a permanent partner in tourism to discover the pleasant, interesting and unique Belarus not just for Belarusians themselves but for foreigners as well. 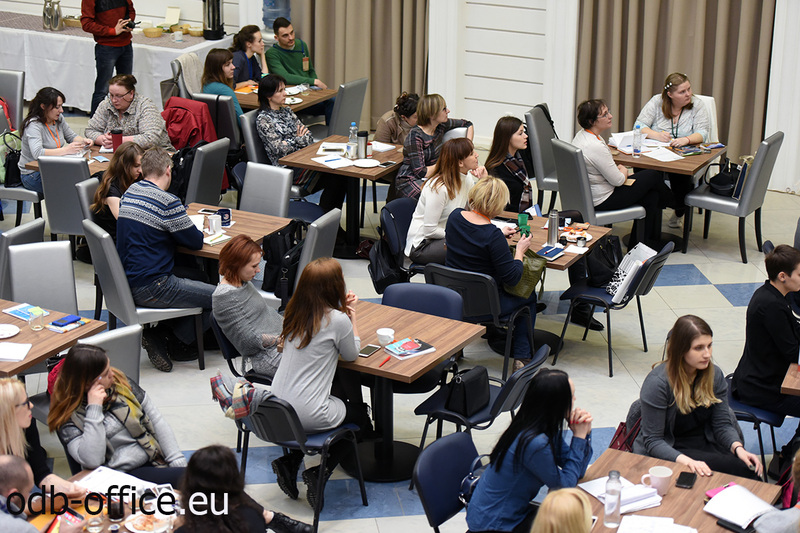 The goal of the programme is to develop a package of social entrepreneurship training programmes in Russian using innovative international practices, as well as the experience of Belarusian diaspora representatives who have become successful entrepreneurs in European Union countries and the USA. 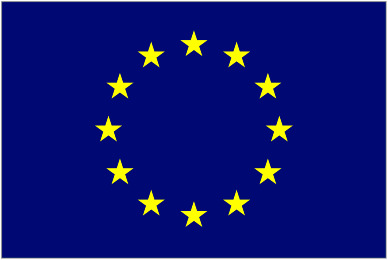 The material was prepared within the framework of the "Social Entrepreneurship Incubator", implemented by ODB Brussels in partnership with TNU Network University (Netherlands), Belarusian Youth Public Union "New Faces" and International Civil Association "Union of Belarusian of the world “Motherland", with support from the European Union.